Conducting a criminal background check is fast becoming an integral part of the employment process due to increasing concerns about terrorism and liabilities from negligent hiring. As an employer, you are responsible for your employees and can be held liable if any harm, damage, or loss is caused to the same employees that you hired. It is for this reason that conducting criminal background checks on your potential employees is now considered an important part of the hiring process. Negligent-hiring lawsuits usually arise when an employee harms a colleague or a customer and the victim believes that the employer did not perform due diligence in ensuring their safety when hiring that employee. Background checks enable you to check for any violent tendencies as evidenced by a criminal record. Criminal background checks also ensure company security if the application is for a management or financial position. These high value positions can affect the company’s profitability and reputation. Careful employers will require candidates to undergo a criminal background check to reveal any history of fraud, theft, or negligence. Are you allowed to perform criminal background checks? Depending on the state, the laws on accessing criminal records are different. 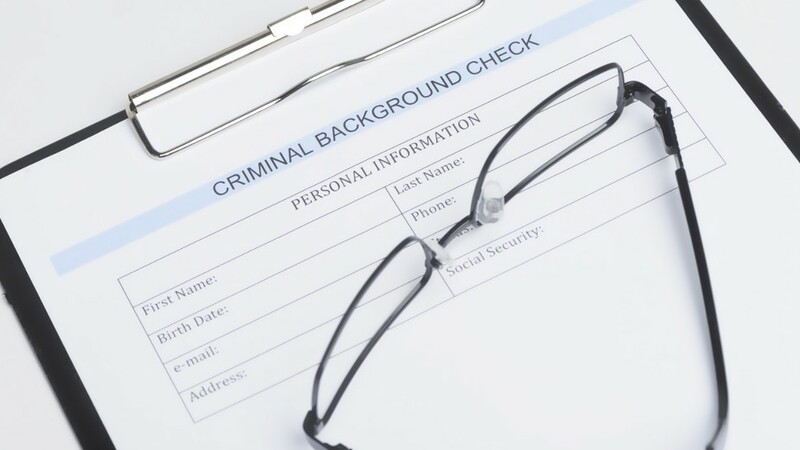 State laws may even prohibit asking about a previous conviction or specify at which point of the hiring process you are allowed to conduct a criminal background check. For example, New York (as of this writing) allows background checks to only include criminal records for the past seven years for positions with salaries less than $25,000 annually and may not contain any information on arrests, charges, or non-criminal convictions/violations. The same act has different requirements for positions that earn $25,000 or more annually. The federal Fair Credit Reporting Act (FCRA) protects the applicants’ privacy and ensures that they are not discriminated against. An applicant must give written consent for any background checks and must be informed that it may affect the applicant’s chance of employment. The applicant must be informed of the nature of the check and the company that will be doing the check. Before taking any adverse action based on the report, you must provide the applicant a notice that includes a copy of the report and the “A Summary of Your Rights Under the Fair Credit Reporting Act,” which should be included if it was provided by a professional agency. This gives the applicant a chance to review and explain the negative report. The Equal Employment Opportunity Commission (EEOC) ensures that all applicants are treated equally. It is therefore illegal to selectively perform criminal background checks based on an applicant’s race as it is clearly discriminatory. States may even have their own anti-discrimination laws and it is best to consult with a lawyer before integrating a criminal background check into your hiring process. Failure to comply with the applicable laws can expose you to liability and damage the company’s reputation. A lot of information is public nowadays and it is quite tempting to perform the background check in-house. However, simply Googling an applicant and checking social media is not considered a proper criminal background check. In fact, this may open you to discrimination charges if done haphazardly or inconsistently amongst all applicants/employees. After all, everything that you need for a proper background check may not be available online. Criminal background checks are best conducted by a professional agency as they can assure that the information is comprehensive, accurate, reliably sourced, and legally-obtained. They can also shield you from accessing information that you have no right to access and may be illegal for you to obtain. A proper criminal background check is a complex process, due to its interaction with multiple privacy and anti-discrimination laws, and should be conducted carefully. Professional investigation agencies know the legal requirements and procedures to get the background information that you need to make informed hiring decisions. Such decisions can save your company from damaging liabilities and help in ensuring the safety of your employees.